From residential to commercial – and varying project scopes and sizes – we have your excavating needs covered here on Vancouver Island! From lot clearing and preparation to finish grading and landscaping, Clark Excavating & Landscape can complete the site development for any project, large or small. We will utilize our expertise to ensure a streamlined process producing the highest quality results. See our Gravel Mart site, too! Servicing the entirety of Vancouver Island, including communities such as Nanaimo, Lantzville, Parksville, Qualicum, Duncan, Mill Bay, the Cowichan Valley, and Victoria. That’s not it, though! If your project scope falls outside of these areas, be sure to get in touch and see how we can help you. From lot clearing and preparation to finish grading and landscaping, Clark Excavating & Landscaping can complete the site development for any project, large or small. We will utilize our expertise to ensure a streamlined process producing the highest quality results. Our growth and success are directly related to your satisfaction by providing you with the highest level of service. If you need to have your lot or land cleared for a building or a road give us a call. We can cut down the trees, haul the land clearing debris away, dig-out and remove the tree stumps. We take pride in the building of our rock walls. With numerous rock grades available, we can turn your landscape into a piece of art! With the use of Stanley Stealth Rock Breakers we ensure the demolition of rock and concrete in an eco-friendly nature. Our equipment is the top of line, and we get your job done in a fair and timely fashion. Do you need sand, gravel, or washed rock for an upcoming project? Are you not sure who to turn to in your time of need? You can get high quality aggregate at an affordable rate, just by calling us today. Whether you need a new installation or service to an existing system, we have you covered. With installations ranging from residential lawns – large and small, estate lawns, or precision watering for islands of plantings in acres of parking lots for major retailers, Clark Pacific Excavating can find the solution to your irrigation needs. When you need snow plowing, snow hauling, sidewalk clearing, salting, and other snow removal services, we are ready to help. We will attack the snow and ice. Your parking lots and sidewalks will be cleaned up and salted for ice control. 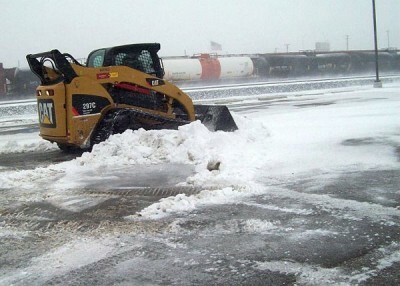 We can push the snow out of your way or remove it from your property. It’s your choice. We work for your safety and convenience. Clark Pacific Excavating undertakes civil construction all across Vancouver Island and British Columbia, having developed partnerships with a number of major clients and engineering consultancy firms to deliver small-to-large civil construction projects. If you have a project that seems slightly outside the scope of services listed above, Contact us today! We are happy to discuss your excavating needs with you in person or over the phone, are are happy to talk about your project no matter what the size. Clark Pacific Excavation looks forward to helping with your upcoming projects and we always provide free consultations and free quotes.